The General Data Protection Regulation (known as GDPR) came into force on 25 May 2018, changing the law to help better protect your personal data. Our Company is Eucaderm Ltd, and is owned and run by David Satchell, Consultant Trichologist. or by any of the Contact forms on the website. If you purchase products directly from https://davidsatchell-trichologist.com, (or if you logged into http://eucaderm.com which is the same website) your name, postal address and email address and a transaction history will be kept by us. 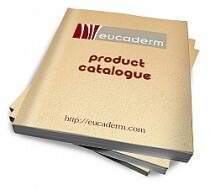 The reason we need to obtain this information is simply to fulfil any orders you make from the Eucaderm website. We use the contact information to inform you about the status of your order. This information is never shared with any third party. We do not send out emails to our clients on a regular basis. You may request details of personal information which we hold about you under the Data Protection Act 1998. If you would like a copy of the information held on you please write to David Satchell, Eucaderm Limited, 15 Waldron Close, Eastbourne, East Sussex, BN22 0ED.